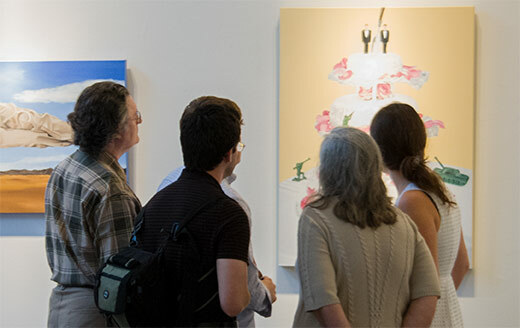 "Amy Guidry's "…And Justice for All, Void Where Prohibited," which is pictured above, was a highlight for me during my preview of the show. 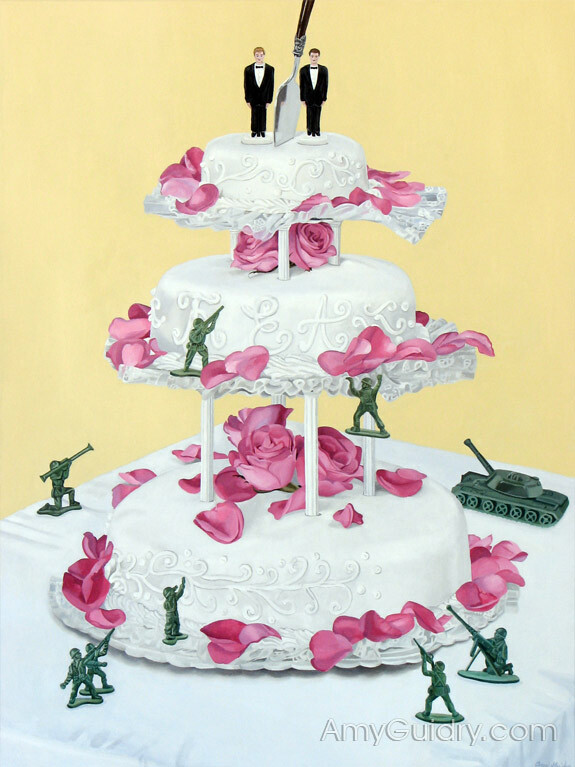 It encapsulates the tension that the issue of LGBT marriage has created in our society through a crystaline POP image of an homosexual wedding cake underseige by toy soldiers. The image is comical, but the point is made sharply. 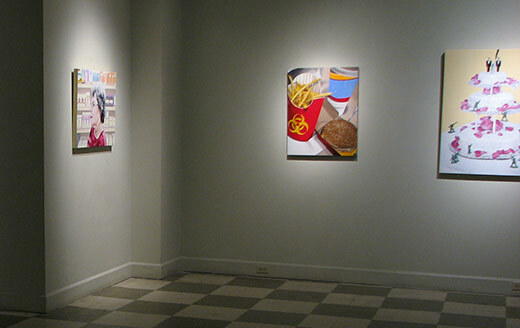 As such, I view it as the central image of the exhibition."